Show off the warrior in you! 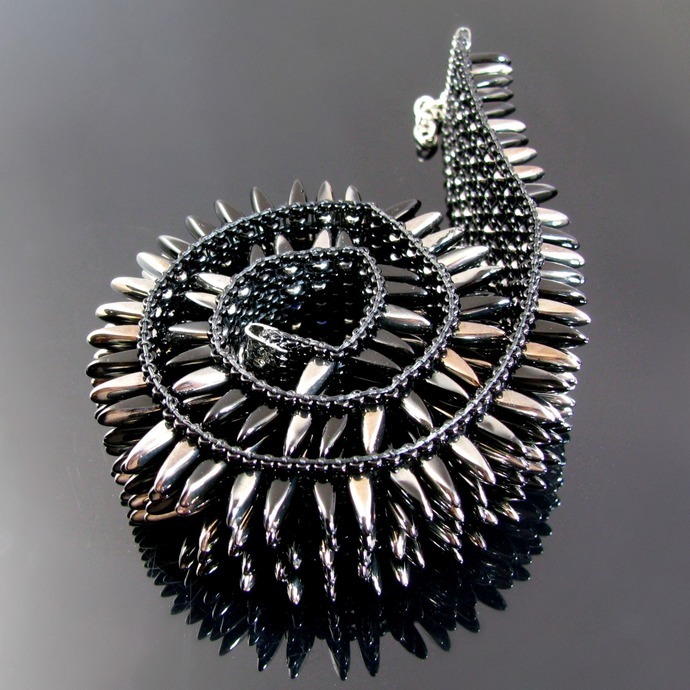 This unique choker is bead loomed from hundreds of Czech dagger beads in black/silver and seed beads in black. 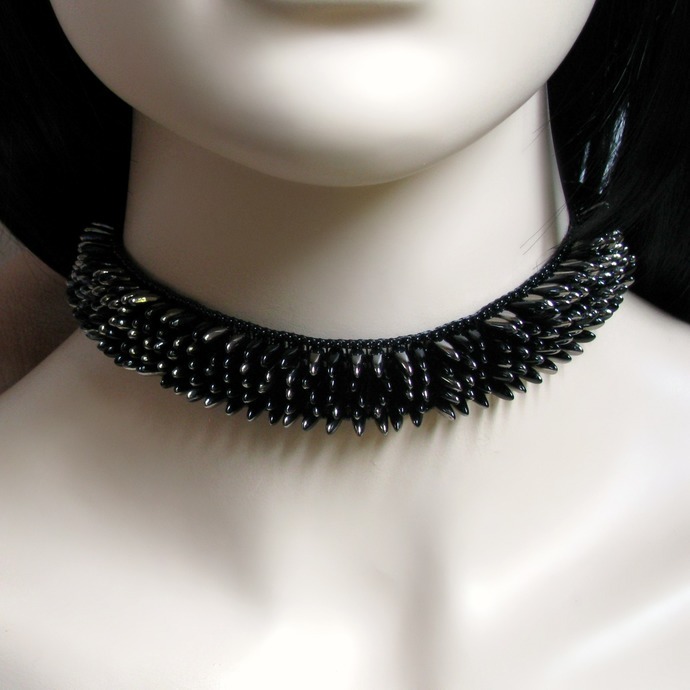 No lightweight, but being very slinky it is quite comfortable to wear around your neck. 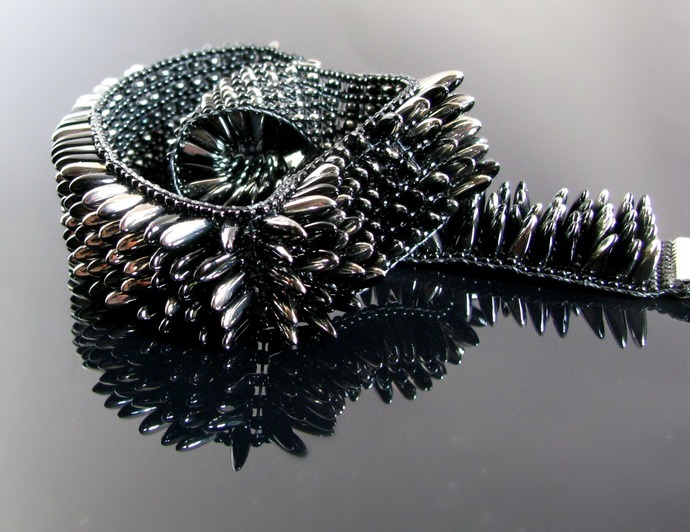 The daggers are rounded at the tips, not pointy, so you can't hurt yourself with this attention catcher! 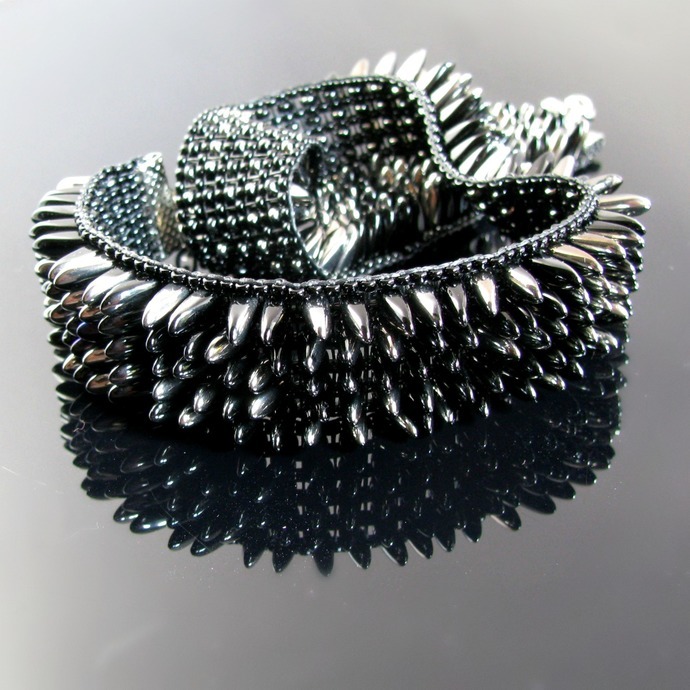 It is 2 cm or 3/4 inch wide and adjustable from 38 to 40 cm or 15 to 15 3/4 inch although I can add or take off some chain. It's finished off with silver tone ribbon crimps, chain and a lobster clasp which I can replace with a toggle if preferred. 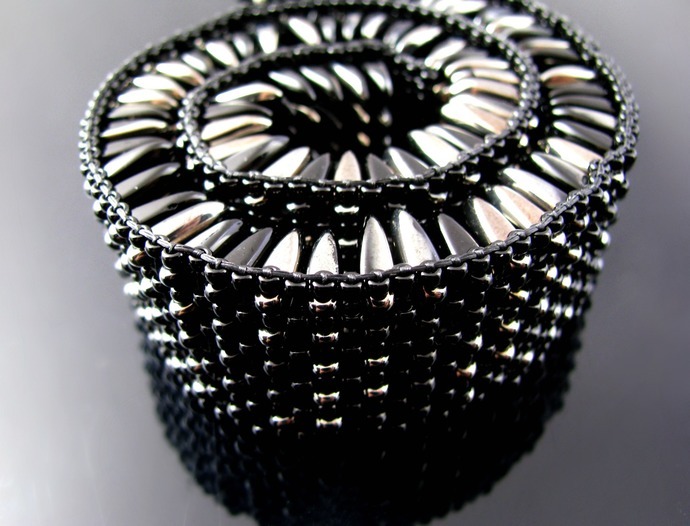 A wide cuff in the same style, but with black/blue daggers and gunmetal seed beads, can also be found in my shop.